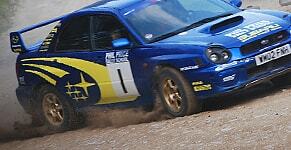 Looking for Rally Driving Gifts? 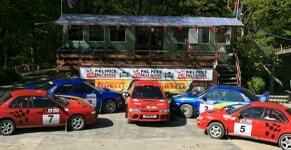 If you know somebody who’s sad about summer ending, why not take them to Phil Price Rally School? We can get rid of those post-holiday blues with our awesome One Day Intense Course. The perfect present for all sorts of occasions, from birthdays and anniversaries to weddings, our gift vouchers are any motorhead’s ticket to paradise. Our rally driving days have been described as ‘phenomenal’ by previous visitors, while others have said they find it ‘absolutely amazing’. Others have said that you couldn’t have a better day out. With a rating of five-stars on Trip Advisor, Phil Price Rally School is proud of our track-record and want to make sure every visitor has the ultimate experience. Our gift vouchers will give your loved-one a whopping 7-hours of action, including plenty of time spent behind the wheel and a tasty buffet lunch. They’ll also benefit from instructors who’ve been passionate about this motorsport since the 1980s. Based in the centre of Wales, we attract drivers from all over the UK to our venue in Llangunllo. What better excuse to pay a visit to this beautiful part of the country? Our visitors include groups of family and friends and we also have corporate days that are perfect for team building. Discover more about our gift vouchers today.